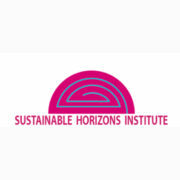 The workshop is designed to inform, inspire and encourage participants, specifically participants historically underrepresented at the conference, to engage in the multidisciplinary dynamics of visualization. 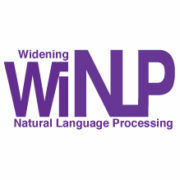 The mission of the WiNLP Workshop is to help promote and support ideas and voices of underrepresented groups in Natural Language Processing. 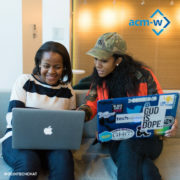 During the Virtual Undergraduate Town Hall, you will join students from around the world in a virtual mentoring event where you will learn about cutting-edge research in the field of computing. In this talk, Kathryn McKinley will discuss tail latency for interactive services and how to cultivate research relationships. DLS Event - CRA-W is proud to sponsor the 2018 New Jersey Regional Celebration of Women in Computing Conference, bringing together women at the high school, undergraduate, graduate, and professional levels to promote the recruitment, retention, and progression of women in computing fields. 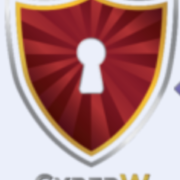 DLS Event - CRA-W is proud to sponsor the 2018 5th National Women in Cybersecurity Conference, bringing together women in cybersecurity from academia, research and industry for sharing of knowledge/experience, networking and mentoring. During the Virtual Undergraduate Town Hall Event, you will join students from around the world in a virtual mentoring event where you will learn about cutting edge research in the field of computing. 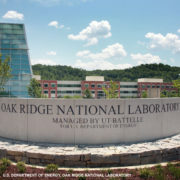 In this talk, Verónica G. Vergara Larrea will discuss the research being conducted at Oak Ridge National Laboratory. During the Virtual Undergraduate Town Hall Event, you will join students from around the world in a virtual mentoring event where you will learn about cutting edge research in the field of computing. 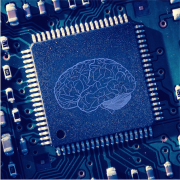 In this talk, Taghrid Samak will discuss using machine learning for network capacity management. 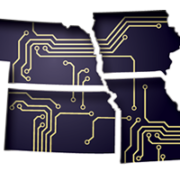 The (MINK WIC) conference brings together students, faculty, and technology leaders from the four state area to discuss the role of women in today’s computing and technology fields. 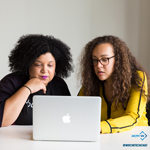 This workshop encouraged underrepresented cybersecurity professionals and students to attend conferences, network, and engage in cutting edge research. 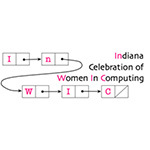 The 2017 Indiana Celebration of Women in Computing (InWIC) conference was an ACM Celebrations Event that provided a low cost, regionally-tailored, small conference for women in computing. 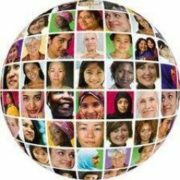 Join CRA-W at the 2017 Grace Hopper Celebration in Orlando, Florida. This year CRA-W will be hosting workshops, Student Opportunity Lab tables, and a reception for CRA-W Alumni! During the Virtual Undergraduate Town Hall Event, you will join students from around the world in a virtual mentoring event where you will learn about cutting edge research in the field of computing. In this talk, Preeti Bhargava will discuss smartphone data and what it reveals about smartphone users. During the Virtual Undergraduate Town Hall Event, you will join students from around the world in a virtual mentoring event where you will learn about cutting edge research in the field of computing. 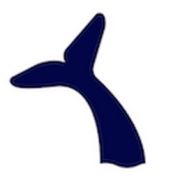 In this talk, Yunshu Du will review the basics of reinforcement learning and deep learning, and then describe some of the challenges associated with training a DeepRL agent. During the Virtual Undergraduate Town Hall Event, you will join students from around the world in a virtual mentoring event where you will learn about cutting edge research in the field of computing. 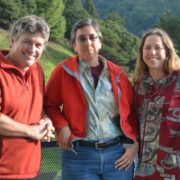 In this talk, Nancy Amato will discuss the wide reaching applications of motion planning, including robotics, animation, virtual prototyping and training, and even protein folding and drug design. The Distinguished Lecture Series (DLS) brings prominent faculty and industry researchers to campuses across the US. 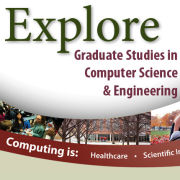 The purpose of these visits is to provide inspiring role models that will encourage students to pursue research in computer science and engineering. During the Virtual Undergraduate Town Hall Event, you will join students from around the world in a virtual mentoring event where you will learn about cutting edge research in the field of computing. 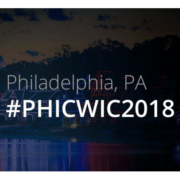 In this talk, Rebecca will overview the challenges of privacy in today’s world as well as presenting some privacy solutions that can enable data to be used without violating individual privacy. 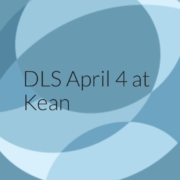 DLS Event - The goal of the New England Celebration of Women in Computing (NECWIC) is to encourage the participation of women in computing by providing a vehicle for students to explore opportunities in computing, to network with other women from academia, industry, and government. 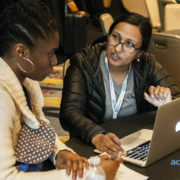 DLS Event - The 6th biennial Michigan Celebration of Women in Computing (MICWIC 2017) is part of a nationwide effort to address the alarming decline of American women choosing computer science professions. 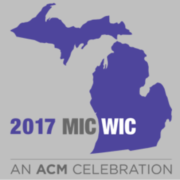 MICWIC 2017 will focus attention on the research success and career interests of women in computing and information technology. 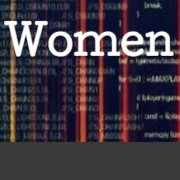 DLS Event - Through the WiCyS community and activities we expect to raise awareness about the importance and nature of cybersecurity career. 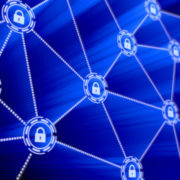 We hope to generate interest among students to consider cybersecurity as a viable and promising career option. 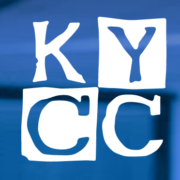 DLS Event - The 2017 Kentucky Community Colleges-Women in Computing Regional Conference (KYCC-WiC) is the first community college centered regional conference. 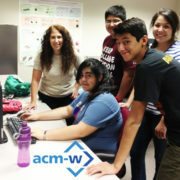 Their goal is to continue the primary mission of ACM while reaching out to the community college family. 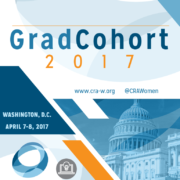 CRA-W will host Mid and Early Career Mentoring Workshops on March 8, 2017 in Seattle, WA co-located with SIGCSE 2017, in an effort to increase the percentage of women in computing who reach the top of their career tracks. CRA-W/CDC is proud to be a sponsor of the following Discipline Specific Workshop. 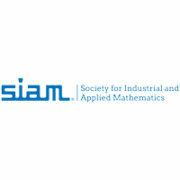 The Society of Industrial and Applied Mathematics (SIAM) 2017 Computational Science and Engineering (CSE17) conference Broader Engagement (BE) program will provide a rich scientific program, mentoring, and career and professional development to students, faculty, and professionals who aspire to broaden their experience in research-based professional activities. DLS Event - CRA-W is proud to sponsor the 2017 Capital Region Celebration of Women in Computing Conference, bringing together women at the high school, undergraduate, graduate, and professional levels to promote the recruitment, retention, and progression of women in computing fields. 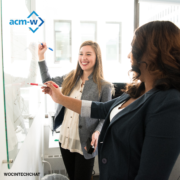 DLS Event - MinneWIC is the ACM-W Celebration of Women in Computing in the Upper Midwest. 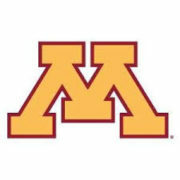 This regional meeting will bring together students, faculty, and technology leaders from across Minnesota and neighboring states to discuss the role of women in today's computing and technology fields, share experiences and strategies for success, and explore issues common to women working in these fields. 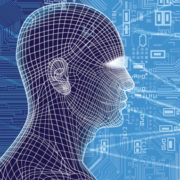 The Pipeline Workshop aims to expand the high-performance computing (HPC) and computational sciences workforce with researchers and engineers from traditionally underrepresented groups. This is a CRA-W Discipline Specific Workshop. Networking Networking Women (N2 Women) is a discipline-specific community for researchers in the communications and networking research fields. CRA-W is a proud supporter of this event. 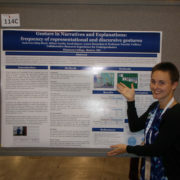 This Virtual Undergraduate Town Hall, hosted by Katherine Sittig-Boyd, will focus on effective ways to become involved in undergraduate research, how to identify research topics that will make for engrossing and fulfilling projects, and some examples of projects she was able to work on during her undergraduate career. 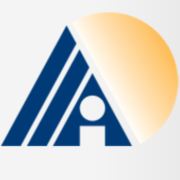 Apply today to attend the early or mid career mentoring workshops on November 19-20th in Washington, D.C. The goal of these workshops is to bring junior researchers and educators together with women already established in their fields. 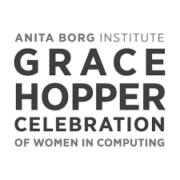 Join CRA-W at the 2016 Grace Hopper Celebration in Houston, Texas. 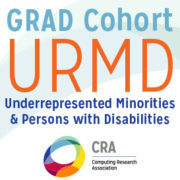 This year CRA-W will be hosting workshops, Student Opportunity Lab tables, a reception and reunions for CRA-W Alumni! During the Virtual Undergraduate Town Hall Event, you will join students from around the world in a virtual mentoring event where you will learn about cutting edge research in the field of computing. 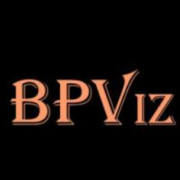 In this talk Deb Agarwal, Sr. Data Science & Technology Head at LBNL, will describe some of the challenges we as computer scientists are helping to solve and some of the next challenges that need to be tackled. This event will conclude with a mentoring session on 'Becoming a Leader'. 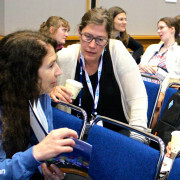 Networking Networking Women (N2 Women) is a discipline-specific community for researchers in the communications and networking research fields. 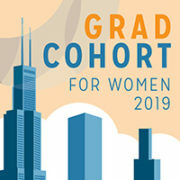 This discipline specific workshop will Connect newer generations of networking women researchers with the community and create mentorship relationships. During the Virtual Undergraduate Town Hall Event, you will join students from around the world in a virtual mentoring event where you will learn about cutting edge research in the field of computing. 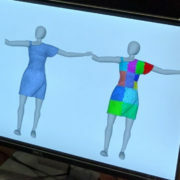 The state of the art in cloth simulation can produce highly realistic cloth, but requires extremely high computation time, on the order of hours or even days. 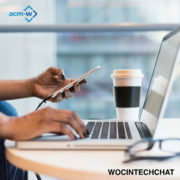 The world-wide female participation in AI and CS in general is dwindling instead of increasing. The decrease of the number of women in AI is specially worrisome. 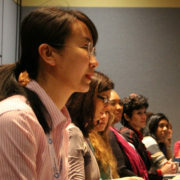 This discipline specific set of activities is aimed at creating a network of women and members of other under-represented groups at the IJCAI 2016 conference. CRA-W/ CDC is proud to sponsor this workshop. 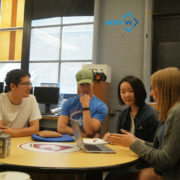 The goal is to introduce students to the exciting research area of robotics and to provide students currently doing research in robotics with valuable career-building information. 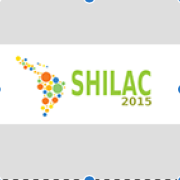 It will be held at this year's 2016 Robotics: Science and Systems Conference. 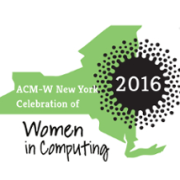 CAPWIC is a regional Celebration of Women in Computing. 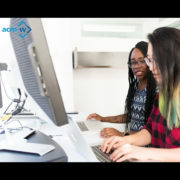 CAPWIC's aim is to bring together women in computing from all stages of their careers. 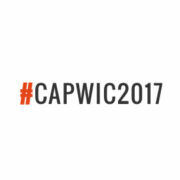 CAPWIC invites high school students, college students (including graduate students), and professionals to attend. 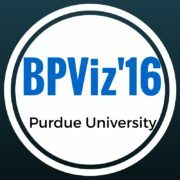 When you attend this Virtual Undergraduate Town Hall Event, you will be a part of a virtual mentoring event. You will learn about Mondira Pant's research on how to prevent an unruly power delivery system. There will be plenty of opportunities to ask the speaker any questions you might have about research as well as graduate school. Following Mondira's research presentation, she will lead a mentoring session on "Building Self-Confidence." 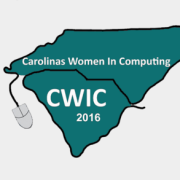 The goal of CWIC (pronounced see- wik) is to encourage the participation of women in computing by providing professional and social support. 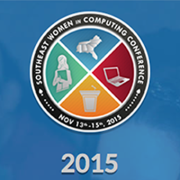 The conference will feature talks and panels by highly successful technical women. Undergraduate and graduate students are invited to participate through poster presentations, lightning talks or birds-of-feather sessions and will have opportunities to network with successful technical women from academia, government, and industry, and their fellow students. A career fair will conclude the conference. When you attend this Virtual Undergraduate Town Hall Event, you will be a part of a virtual mentoring event. 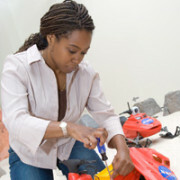 You will learn about Ayanna Howard's research on robots for children with special needs as a Motorola Foundation Professor at Georgia Tech. There will be plenty of opportunities to ask the speaker any questions you might have about research as well as graduate school. Following Ayanna's research presentation, she will lead a mentoring session on "Finding and Making the Most of an Undergraduate Research Experience." 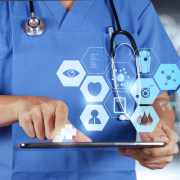 The Biomedical Data Science Workshop is a 2 day event for underrepresented undergraduates, graduates, and post-doctorate researchers from the US and its territories sponsored by CRA-W and the CDC. 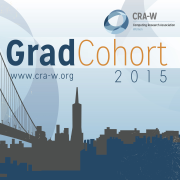 CRA-W will provide mentoring tracks for students and researchers at Grace Hopper 2015. CRA-W will also host tables at the Student Opportunity Lab where students can learn about; Undergraduate Research Opportunities, What Happens in Graduate School, How to Apply To Graduate School, and The Differences Between a Masters and a Ph.D. 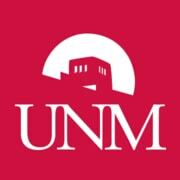 When you attend this Virtual Undergraduate Town Hall Event, you will be a part of a virtual mentoring event. You will learn about A.J. 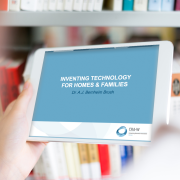 Bernheim Brush's research on technology for homes and families as a Senior Researcher at Microsoft. There will be plenty of opportunities to ask the speaker any questions you might have about research as well as graduate school. Following A.J. 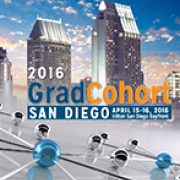 's research presentation, she will lead a mentoring session on "Graduate School in CS: Why go and how do I get there?" 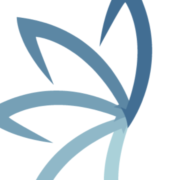 The Workshop on Supporting Diversity in Systems Research (Diversity 2015) is a forum to support traditionally underrepresented students in systems research. 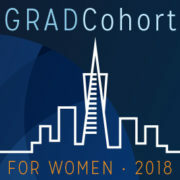 It provides minority and female students at the graduate or advanced undergraduate level with valuable opportunities for mentorship and networking. The CAHSI Summit engages faculty, students, industry, and other collaborators in activities that: ▪ Build connections ▪ Disseminate effective and promising practices ▪ Prepare students for pursuing higher education and productive careers in computing ▪ Promotes conversations and actions that address involvement of Hispanics in Computing. Join CRA-W and CDC for the 10th anniversary of the STARS Celebration, August 13 - 15, 2015 in Charlotte, North Carolina. 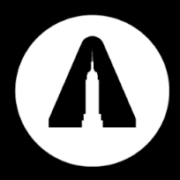 This event will showcase current STARS participants and STARS alumni, as well as industry and community partners. 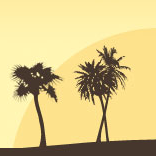 Celebration will provide opportunities for learning, collaborating, and networking with academic and industry partners. RESPECT 2015 will serve as the first international meeting sponsored by the IEEE Special Technical Community on Broadening Participation. 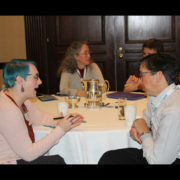 CRA-W will host Mid and Early Career Mentoring Workshops on June 13-14, 2015 co-located at the Federated Computing Research Conference in Portland, Oregon. 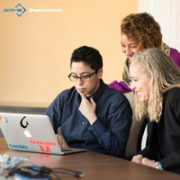 The goal of these workshops is to increase the percentage of Computer Science and Engineering women faculty members and researchers/technologists who reach the top of their respective career tracks.